Classic Elegance within 1.5 blocks Walking Distance to Lake Michigan. 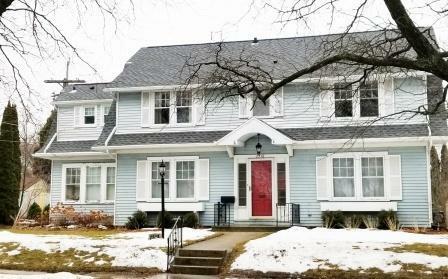 Updated but Retaining the Beauty of this Great 1927 Colonial Home. 4 Large BRs in Upper with Private Master Bath, and Additional Full Bath to Serve the Other 3 BRs. Enjoy the Formal DR, Kitchen with Opening to Large Family Rm boasting a WBFP , Lge. LR with 2nd WBFP, a Light-Filled Sun Rm, and 1/2 Bath on the Main Floor. The Lower Level Features a large Rec. Rm/Work Room and Ample Storage Areas. Detached 2 Car Garage and Beautiful Deck Add to the Amenities this North East Side Home has to Offer.